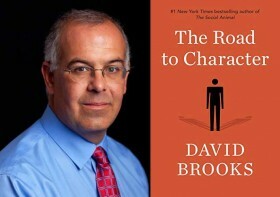 David Brooks has been one of my favorite columnists in the New York Times for years. He’s quickly becoming one of my favorite thought leaders in today’s cluttered world of noise. If you’ve followed me for very long at all, you’ve heard me teach the virtues of avoiding all of the noise and distractions in your life and Brooks certainly appears to be a man who has mastered the ability to focus on what really matters in life. From research and articles as diverse as famous graduation speeches and eulogies to the heavy hitters in philosophy and religion over the past two centuries and beyond, Brooks is a refreshing reminder that far too many of us worry about what goes on our resume when we should be more concerned with what will be said in our eulogy. If you’re sick and tired of the emphasis our culture places on sports figures and entertainers and instead would enjoy some truly reflective quiet time pondering the things that make great men, go get this book and devour it and the lessons it shares. One of my favorite books of the year.